Khobab Wind Farm has announced the completion of all 61 wind turbine installations, more than two weeks ahead of schedule, on 8 September 2017. Furthermore, Khobab Wind Farm, together with its adjacent ‘sister’ wind farm, Loeriesfontein Wind Farm, have achieved over 2million hours without a single lost-time-incident, during their construction period that commenced in September 2015. “This is a hugely significant health and safety construction milestone for two of the country’s largest wind farms that collectively comprise of 122 wind turbine generators and spanning a total of 6 653 hectares. Considering the sheer scale of the project, the multiple level of activities and the complexities involved, it is an impressive achievement,” said Kevin Foster, Country Construction Manager for Mainstream Renewable Power. The lifting of Khobab Wind Farm’s wind turbine generators was managed by a dedicated turbine installation crew who began the lifting process during March this year. The installation crew worked many extended days to take advantage of the periods of low wind to install all the turbines in under six months. A large number of the workforce come from the Loeriesfontein community and have directly benefited from the skills development programmes. 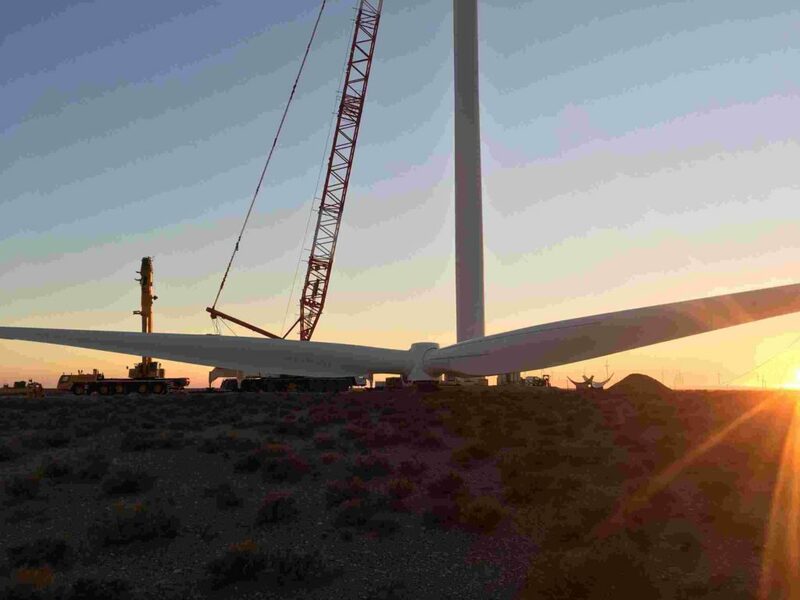 This workforce benefited from the experience gained on the adjacent Loeriesfontein Wind Farm, which no doubt helped in the crews completing the turbine lifting ahead of schedule.